There are three common styles of negotiation, each with their own pros and cons. What kind of negotiator are you and which should you strive to be? Do you consider yourself to be a good negotiator? If not, maybe it’s time to change up your style of negotiating. The following are some of the more common negotiating styles. Do you see yourself among these? Your personality is often tied in with the style of negotiation that feels most comfortable to you, but that doesn’t mean it’s necessarily the one you should choose. Individuals don’t always fit neatly within these styles. Some have characteristics of each. These categories are useful in discovering what works (and what doesn’t) within each style. As the name indicates, someone who negotiates in this style can tend to dominate the conversation. The other party can barely get a word in edgewise. Pros: This strategy is good for decisions that must be made quickly. Cons: It can tend to be abrasive and, when out of control, it can damage negotiations. Individuals who possess the style termed “the accommodator” have the desire to include every person who might be impacted by the results of the negotiations. The accommodator will probably be one of the first to offer concessions in return for future payback or to “keep the peace”. The relationship is valued above ‘winning’ with this kind of negotiator, because they believe that if others like them as well as the negotiation process then they will get a good deal. Pros: This kind of strategy may be successful when the object of the negotiation is desired more by one party than the other. Cons: It’s very possible that the other side could push their way to achieving their goals without any reciprocity for the concessions the accommodator may agree to. Needless to say, some accommodation is fine: however, it is very easy to be too accommodating, which will likely result in buyer’s remorse. A collaborator who is focused on results tends to achieve his goals because he is focused on achieving the best and most practical results for the issue, rather than simply “getting his way”. Pros: Combines the best parts of the Competitor and Accommodator. A collaborator can be strong when needed, but will strive to resolve the negotiations in a satisfactory way for all parties involved. 1. Typically, in negotiations under a time constraint the 80/20 rule applies, which means that 80 per cent of concessions made during the negotiations are made in the last 20 per cent of time spent negotiating. a. A good strategy would be to hold on to your concessions until late in the game. A concession that might have been unimportant to the other party if presented at the beginning of negotiations could be what closes the deal. 2. The best defence against hard negotiators is knowledge of the tactics they will use in negotiating. 3. A negotiator who begins discussions with unreasonable demands is trying to force an unprepared negotiator to make concessions. a. Should this happen to you, restate the demand using terms that are more favourable to your position. b. Behind these terms indicate a willingness to resolve the issue (e.g. go to contract) in a manner that will suit all parties, however let the vendor know that you do have other options should negotiations falter. c. This lets the other party know that you're serious and are ready to walk if they won't compromise. Note: You really must be willing to walk away for this strategy to work because if you’ve become emotional about the property (which you should avoid doing, of course) it will prove difficult to hide your emotions should negotiations not go well. A Harvard study revealed that 80 per cent of negotiators use the same strategy over and over: they size up the other party before beginning negotiations. In other words, if the other negotiator wants to play hard-ball, they follow suit. If the other party wants to collaborate, they will, too. The other 20 per cent, however, are more assertive, taking the lead in setting the tone for negotiations from the start. Interestingly enough, these negotiators say that people tend to follow their lead, no matter which tone they set. So then what can we learn from this? Your chances of achieving a successful negotiation are very likely improved if you set the tone from the start because you have the option of choosing a strategy that you’re most comfortable with. However, this doesn’t preclude you from being prepared before negotiations begin. You must be well aware of the market, know what the market says the property is worth, and understand what is driving the seller. If you’ve done inspections as well you should, you’ll essentially have a list of reasons why the vendor should work with you to achieve a result that can satisfy both of you. 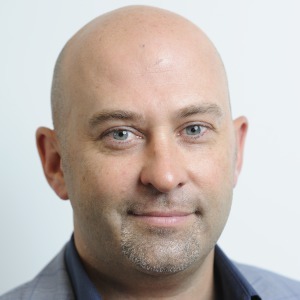 Sam Saggers is the CEO of Positive Real Estate, one of Australia's leading property investment and educational companies and highly sought-after buyers agencies. As a licensed real estate agent in every state of Australia, Sam's passion is assisting people to invest successfully in the Australian property market. He has personally brokered over 1,600 property deals in his fifteen-year career and has helped to educate more than 5,000 people in real estate principles through Positive Real Estate. Sam is the co-author of Think and Grow Rich In Property by Stuart Zadel and How to be in Debt for Millions and Be Happy About it and is currently in the process of writing another book on investing in property in Australia. Sam Saggers is also a keynote speaker on real estate and has recently founded the Property Wholesales Co-operative.